Where Can I See My High School Yearbook on Line? Multiple websites, such as Classmates.com and Ancestry.com, offer access to yearbooks for a nominal fee. Some yearbook services, such as E-Yearbook.com, do not include small schools or all years. Large schools or colleges, such as Harvard, often have yearbooks archived and available for access, according to the Harvard University Archives. Many of these websites allow users to search for a specific year and school before purchasing a membership. Some sites advertise a free search, but they ultimately lead users to a larger site such as Ancestery.com. Individuals may also search some library archives, such as the Watertown Free Public Library website, for free access to old yearbooks. 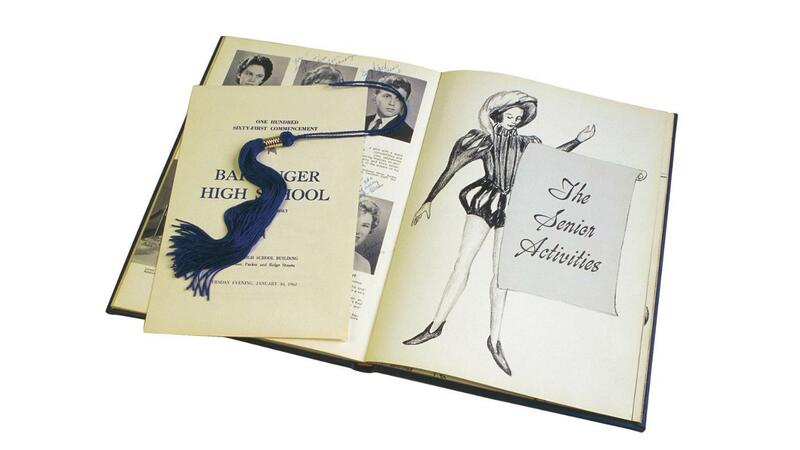 Where Can I Buy My High School Yearbook Online? How Do You Make a Junior High School Yearbook? Are Most Schools Starting to Use an Online School Yearbook? What Are Some Good Websites to Find High School Alumni? What Is the Best High School Reunion Website? How Do You Make a Yearbook?